Maybe It’s Time For Rayne! New Customers, Get The First Month FREE! I’m interested in water softener exchange tank services or a home drinking water system – AND a month FREE! Rayne Water Conditioning of Santa Maria is family owned and locally operated. We are THE company to call for water softener exchange tank service in Avila Beach, California. We offer the residents of Avila Beach the most environmentally friendly water softener solutions available. Our Water Softener Delivery Service and Portable Exchange Tank Systems deliver softened water without the environmental impact of sodium discharge. Our PE Tank water softeners are also some of the most efficient in the industry; they use less water and salt in the regeneration process than a typical water softener. In addition to our water softener delivery services, Rayne of Santa Maria also provides complete water treatment, water conditioning, and drinking water systems for your Avila Beach home and businesses. 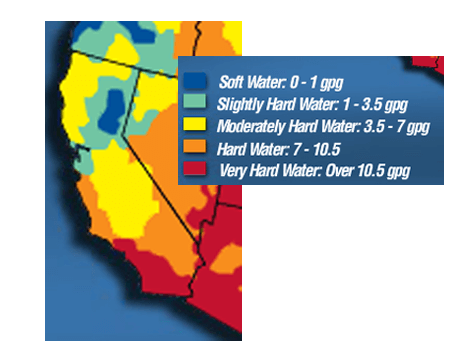 How Hard is our Water? The water in Avila Beach contains up to 28 gpg – that’s REALLY hard! What do you know about Avila Beach water quality? Rayne’s Water Softener Exchange Tank Service is the most environmentally superior way to soften your hard water. Our water softener service in Avila Beach offers the same benefits as an installed water softener in your home, but without out the environmental impact of salt discharge into the waste water system. Our service reduces water usage by at least two-thirds, while reducing the salt discharge rate to near zero percent! A Rayne technician will exchange the tanks when needed, and since they do not require any electricity, there is no added burden to your energy bill. Rayne’s water softener service is both hassle-free and effortless for you. Here’s what our Avila Beach water softener service customers are saying about us. Service 24/7 – You call, we come! When selecting the best home water softener and treatment system for your family, it goes without saying that you want to select a solution that really works. You also want to choose a water treatment system that is Eco-friendly while providing quality and value. Maybe it’s time for Rayne! Rayne of Santa Maria Provides Complete Water Treatment, Water Conditioning, Water Softening, Drinking Water Systems, and Portable Exchange Tank Service in Santa Maria, Northern Santa Barbara, San Luis Obispo Counties, Nipomo, Arroyo Grande, Grover Beach, Pismo Beach, Shell Beach, Oceano, Paso Robles, Templeton, Atascadero, Avila Beach and surrounding areas.